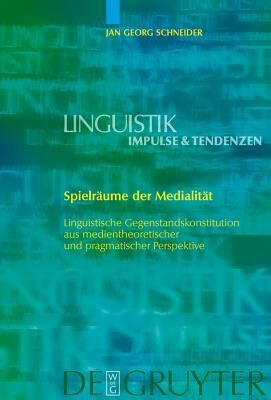 This book connects the fundamental theoretical question of the object of linguistic analysis with the topical subject of "media." It is concerned in particular with the concept of competence - if there is no language competence independent of media, to what extent can competence still be regarded as "free"? Following on from Wittgenstein, the author develops the thesis that in many cases it is more appropriate to see linguistic competence as "competence in language games." This model is developed in the principal chapter and illustrated using numerous examples.